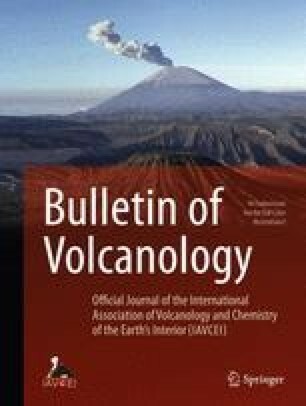 Historical eruptions have produced lahars and floods by perturbing snow and ice at more than 40 volcanoes worldwide. Most of these volcanoes are located at latitudes higher than 35°; those at lower latitudes reach altitudes generally above 4000 m. Volcanic events can perturb mantles of snow and ice in at least five ways: (1) scouring and melting by flowing pyroclastic debris or blasts of hot gases and pyroclastic debris, (2) surficial melting by lava flows, (3) basal melting of glacial ice or snow by subglacial eruptions or geothermal activity, (4) ejection of water by eruptions through a crater lake, and (5) deposition of tephra fall. Historical records of volcanic eruptions at snow-clad volcanoes show the following: (1) Flowing pyroclastic debris (pyroclastic flows and surges) and blasts of hot gases and pyroclastic debris are the most common volcanic events that generate lahars and floods; (2) Surficial lava flows generally cannot melt snow and ice rapidly enough to form large lahars or floods; (3) Heating the base of a glacier or snowpack by subglacial eruptions or by geothermal activity can induce basal melting that may result in ponding of water and lead to sudden outpourings of water or sediment-rich debris flows; (4) Tephra falls usually alter ablation rates of snow and ice but generally produce little meltwater that results in the formation of lahars and floods; (5) Lahars and floods generated by flowing pyroclastic debris, blasts of hot gases and pyroclastic debris, or basal melting of snow and ice commonly have volumes that exceed 105 m3. The glowing lava (pyroclastic flow) which flowed with force over ravines and ridges...gathered in the basin quickly and then forced downwards. As a result, tremendously wide and deep pathways in the ice and snow were made and produced great streams of water (Wolf 1878).